An operations manager is like a fighter pilot. Being one takes superhuman competence and confidence. You must master the million moving parts that form a company. That means your operations manager resume has an awful lot to prove if you want to get that job. An operations manager resume sample better than 9 out of 10 other resumes. How to write an operations manager resume that lands more interviews. Tips and examples of how to put skills and achievements on an operations management resume. How to describe your experience on a resume for an operations manager to get any job you want. Operations Manager Resume Example - See more templates and create your resume here. What's the Best Format for an Operations Manager Resume? Their biggest fear is hiring someone who'll crash their company. They won't even think about applicants with sloppy operations manager resumes. Select a trusted format like reverse-chronological. It shows your most recent management successes first. 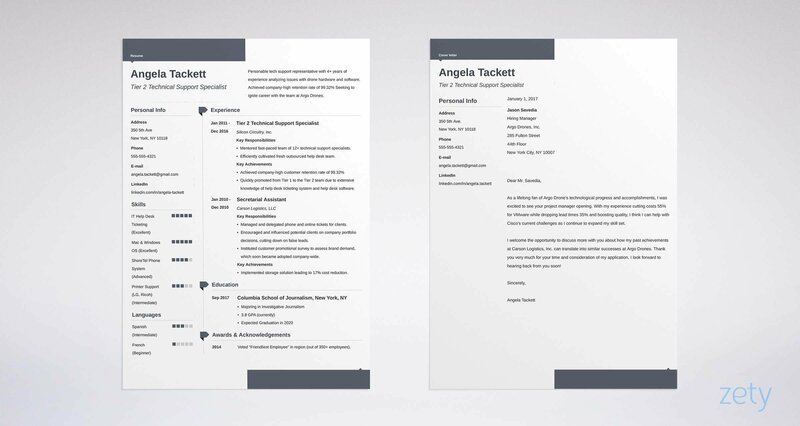 Use clear, legible resume fonts, big headings, and white space to soothe the eye. Next, save it as a PDF. Operations manager resumes in Word format may look nice on your machine. But they can turn into a brush fire in transit. Just make sure the job description doesn't clamp down on PDF resumes. Some do. Always choose the format suggested in the ad. Pro Tip: Proofread your business operations management resume twice, on different days. Have a trusted friend check it as well. Sloppy work will get the boot. Picture a big, smooth wall 100 feet high. It stands between you and the board of directors, and it's called a "recruiter." Her name is Anne. She'll skim your resume in six seconds. To engage her, you'll need a substantive sales pitch. It's called a resume summary (or an operations manager profile summary). It needs to be the most compelling thing you've ever written. The good news is, you've already got the assets. Let these senior operations manager resume examples show you what I mean. Service operation manager with 15 years of experience, seeking a new situation. Highly skilled in leadership, Lean thinking, cost-cutting, and revenue generation. Seems like possibly a good fit, right? But the board won't hire "possibly." A winning resume for an operations manager shares impressive metrics. Highly effective operations manager with 15 years of experience. Seeking to dramatically improve KPIs for Audor Sports. At Skander Golf, used Lean training and integration to turn a $2 million/yr loss into a $1 million/yr profit in 1 year. Also cut inventory cost 45% and lead times 25%. Slashed turnover 40%. That's job-ready. With a resume like that, you'll pull down an Amazon operations manager salary in no time. Those measurable accomplishments make it sing. Note that we say "resume summary.” An operations manager resume objective is for those with no experience. That won't work for a director level job. Pro Tip: Got writer's block? Don't start with your operations manager resume summary. Write your experience section first, then cherry-pick the best parts. Pretend you're buying a cake. One baker says he's passionate. He's got a degree. The other has ten years of experience. She's made cakes for royals and celebrities. She's been written up in glossy magazines. Your operations manager resume must show you're baker #2. These two sample director of operations resume clips will light the way. Look at the difference in these two director of operations resume examples. Implemented a lean training program that turned a $2 million annual loss into a $1 million annual profit in one year. Trained all 50 employees in Lean principles. Installed pull systems to cut inventory cost by 45% over 6 months. Initiated setup time reduction plan to cut lead times 25%. Through company-wide incentive programs, decreased turnover 40%. That shows synergy between your duties and achievements. The recruiter can't help but share it with the board. Responsible for all operations management of a multi-million dollar sporting goods manufacturing company. In charge of inventory and supply-chain management. Spearheaded the Lean training initiative, including setup time reduction and pull systems implementation. The granularity has vanished. So has any chance at getting interviewed. Pro Tip: Don't have quite that much experience? Stuff your business or transportation operations management resume with duties from supporting roles. Your education section needs to show at least a bachelor's degree. If you only list your degree and GPA, it's like building a task force, then just using it to improve your golf grip. Instead, make your education section work like a Swiss Watch. Then add achievements that plug into the job description. These two logistics manager resume examples show the basics. Here are two warehouse operations management resume examples. Excelled in warehouse operations management coursework. Captain, rowing team, two years. Recipient, Pitchfork Award for organizational leadership excellence. That's not an operations management job applicant. It's Jack Welch in disguise. It fits the job offer like a Rolex. It shows a special kind of leader who is dedicated to the job at hand. But what about the next of our operations manager resume examples? Graduated with a B.S. in Business Administration. That's as empty as a vacant boardroom. It shows you graduated college, but nothing more. But add achievements, and you're back in the winner's circle. Pro Tip: Writing a retail operations manager resume? Highlight any retail operations classes or projects you did in school. 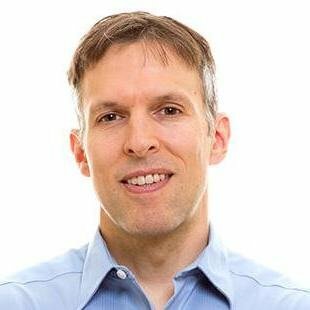 Even general leadership experience works great. Let's look in on the board again. They've got two piles of operations manager job resumes. They're labeled, Second Look, and Trash. The ones in the Second Look pile all have one thing in common. That's kind of like saying "I know how to be a good operation manager." Sounds nice, but how exactly are you great? First list skills shown in the operations manager job description. You may have a thousand. The job description tells you which ones matter most. Next, show you've used them. 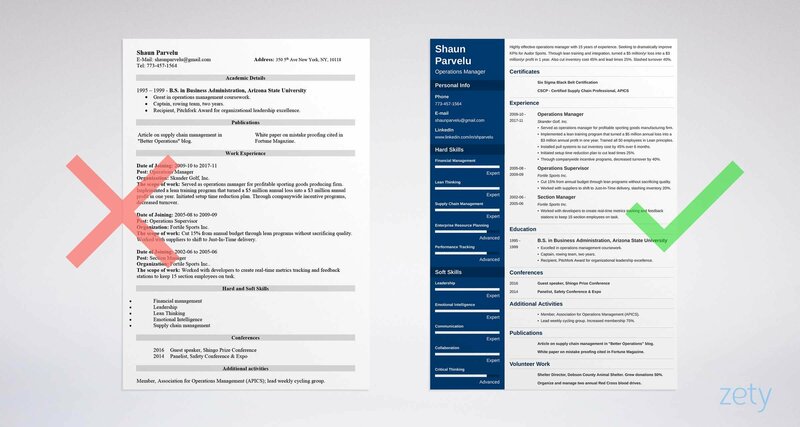 Check out the next of our operations management resume samples below. Lean thinking, supply chain management, inventory reduction. Inventory reduction, cost cutting, collaboration, revenue generation. Cut 15% from annual budget through Lean programs without sacrificing quality. Worked with suppliers to shift to Just-In-Time delivery, slashing inventory 20%. Collaborated with sales and marketing teams to grow revenue 30%. You just went from good to great. It's so much more than just an operations manager resume skills list. To get started, use the skills below. Let's launch your job search. Pick from these business operations resume keywords and skills. Then get more from other operations manager job descriptions online. Follow the SOP above, and your resume for operations manager jobs will shine like it was written by Jamie Dimon. Pro Tip: Skills for a warehouse operations manager resume will differ from bank, security, or IT operations manager resume skills. That's why a careful read of the job description is so important. You're passionate. Involved. Always pushing personal boundaries. Convince the board with additional sections in your director level resume. Do it right, and all the other resumes they see will fade to grey. Let's look at two operations management resume examples. The first of our operations manager resume sample "other" sections will get dehired. I have an golf handicap of 8. I drive a vintage Jaguar E-Type. There's nothing wrong with golf, Jaguars, or sailing. But they don't make you a better operations manager. For contrast, scan the next of our operations management resume examples. Member, Association for Operations Management (APICS). Lead weekly cycling group. Increased membership 75%. Article on supply chain management, "Better Operations" blog. White paper on mistake proofing cited in Fortune Magazine. Shelter Director, Dobson County Animal Shelter. Grew donations 50%. Organize and manage two annual Red Cross blood drives. Hole in one, right? Any of those achievements shows operations manager qualifications. Obviously you don't have to list them all. But they give an idea of what a great "other" section looks like. With a bit of elbow grease, anyone can have that kind of VP or plant manager resume. Pro Tip: List conferences on a transportation or security operations manager resume. It works especially well if you participated on a panel. Let's eavesdrop on the board one more time. They're shucking cover letters off a stack of resumes. Will they even read your operations manager cover letter? Do say: Here's how I can help you meet your goals. That works because it's personal, passionate, and offers proof. First, it drops the hiring team lead's name. Next, it shows passion for this specific job offer. Last, it gives measured proof of how you'll help. Close it with a call to action. "Can we set up a time to discuss ideas for raising revenue by 25%?" works great. Pro Tip: Follow up on your resume and cover letter while they're fresh. Don't wait more than a week for your first nudge. Did you make a big mistake? Most do when adding contact info. But add your LinkedIn address too. Fully 87% of recruiters hire from LinkedIn. If you leave your profile off your resume, you're passing up a big chance to impress. Pro Tip: Want to make sure your LinkedIn profile follows best practices? Snap it into line with our guide to LinkedIn excellence here. Want more tips to make the best operations manager you can? See this article: "6 Proven Tips on How to Tailor Your Resume to the Job Description"
Read the job description carefully. Stuff your operations manager resume with measurable wins that match it like a custom Hickey-Freeman. Show Jeff-Bezos-level competence on a resume for operations jobs. To do that, add dedicated "other" sections that share your indispensability. Write your operations management resume summary last. Build it from the best bits from your resume to make it shimmer. Do you have questions on how to write a great resume for an operations manager? Not sure how to describe your skills or achievements? Give us a shout in the comments! We love to help!